In conversation with the recently appointed CEO of Jaeger-LeCoultre, about the new collection and what’s to come next. 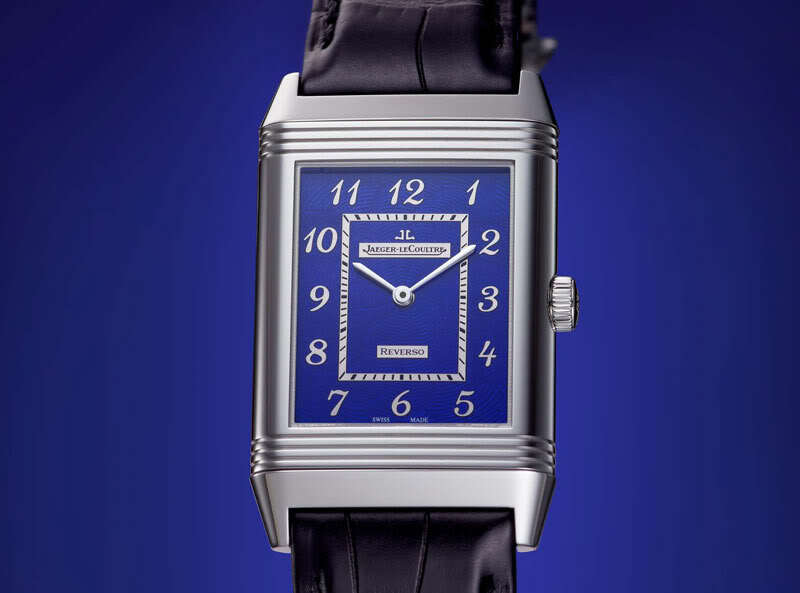 Jaeger-LeCoultre or “La Grande Maison” has, just like some of its sister brands inside the Richemont Group, seen some changes at its head recently. 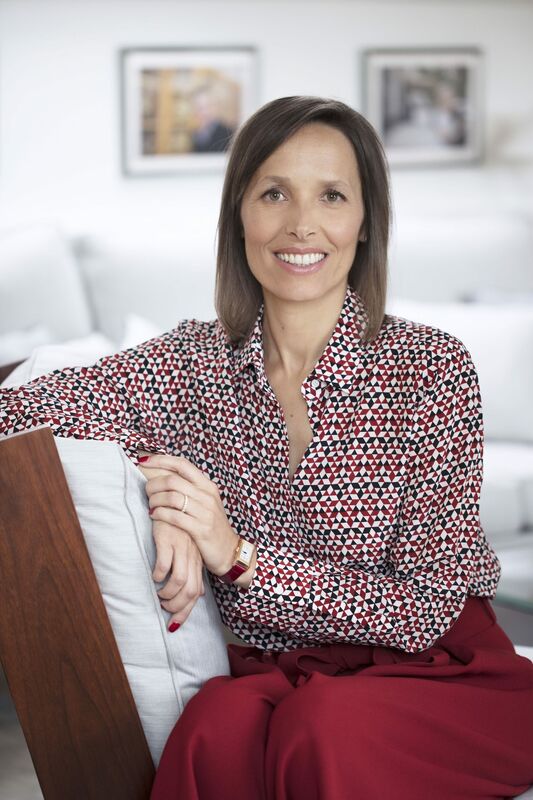 A new CEO, Catherine Rénier (previously at Cartier and Van Cleef & Arpels), often means a new strategy. 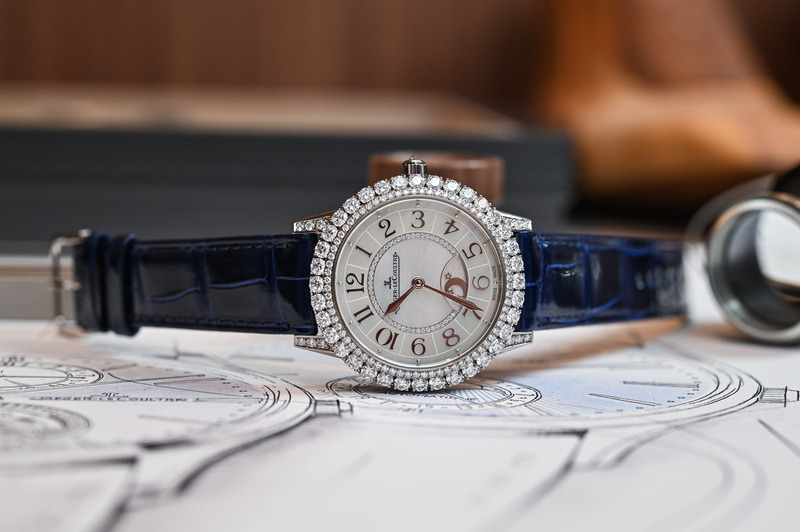 Rather discreet until now, we thought the SIHH 2019 was the right time to talk to her about what’s new for 2019, what’s to come in the coming years and what Mrs Rénier’s background in the jewellery industry could bring to a very horological manufacture. What is the predominant theme at Jaeger-LeCoultre this year and your overall strategy for 2019? The theme for this year’s salon revolves around the art of precision: the precision of technical innovation, as illustrated by the New Master Grande Tradition Gyrotourbillon Westminster Perpétuel, and also the precision behind the gesture, which we can appreciate in our Métiers Rares. Clearly high watchmaking, which has always been a signature of Jaeger-LeCoultre, is part of our overall strategy and demonstrates our drive to innovate and break new ground in watchmaking. 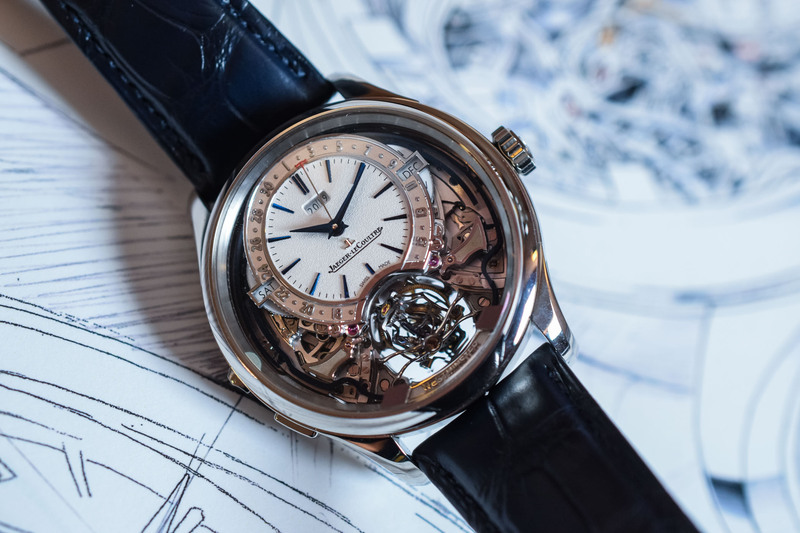 Can you tell us more about the Gyrotourbillon and its importance in the 2019 novelties? The new Master Grande Tradition Gyrotourbillon Westminster Perpétuel took five years in the making. 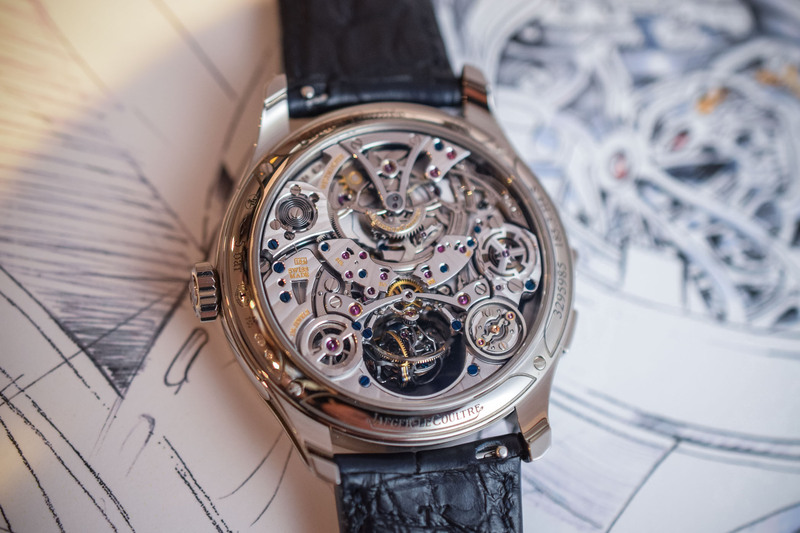 As you know, we introduced the Gyrotourbillon complication in 2004. 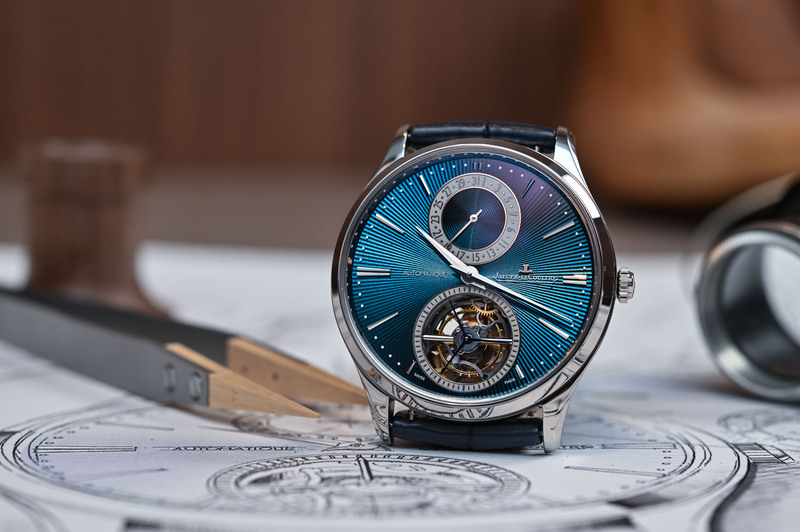 The specificity of this new model, the fifth generation is the association of three complications: the Gyrotourbillon, the perpetual calendar and the minute repeater. What we have achieved with this model is that each of these complications goes a step further in precision and performance than any of its predecessors. 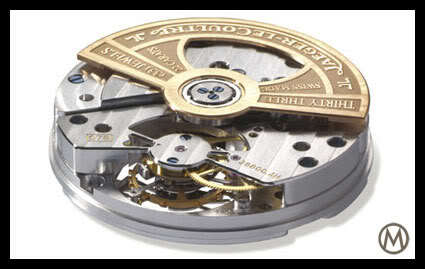 The Gyrotourbillon, for instance, is driven by a constant force mechanism. It delivers a constant flow of energy throughout the 52-hour power reserve of the watch. A jumping minutes hand offers greater precision. The minute repeater has Westminster chimes with four trebuchet hammers on four gongs and a complex melody composed of four notes. To avoid interruptions between the strikes, the watch features a silence-reduction function. 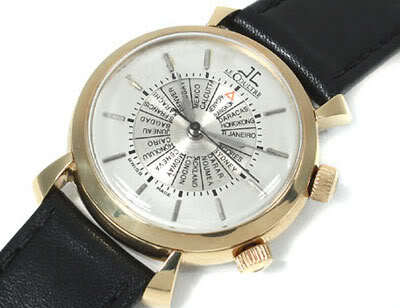 And, for the first time at Jaeger-LeCoultre, the perpetual calendar can be set forwards or backwards. Another achievement of the Gyrotourbillon has to do with the dimensions of the timepiece. The diameter of 43mm is similar to other Gyrotourbillons of the past, but the thickness of this piece is very impressive. If you think that there are 92 components alone in the Gyrotoubillon and more than 1,000 in the movement – all hand-finished – you can understand why the case height of 14.08mm is so impressive. This makes it exceptionally wearable and comfortable. The watch comes in a limited edition of 18 pieces with a white dial and 18 pieces with a blue guilloché enamel dial. How does your background at Cartier and Van Cleef & Arpels influence your approach to women’s watches at Jaeger-LeCoultre? 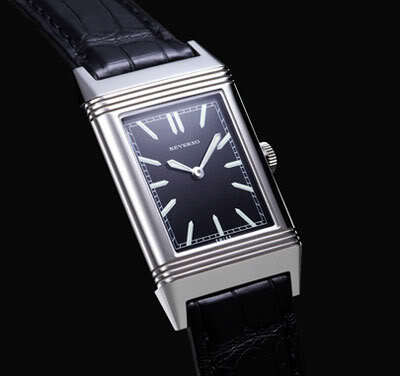 Of course, I am quite familiar with jewellery watches but this has always been a trait of Jaeger-LeCoultre. I have not brought anything to the Maison in this regard. With the 101 creations and the 101 movement invented in 1929, jewellery watches and gem-setting have been an in-house speciality for decades. All the jewellery setting on the new Rendez-Vous is done by our artisans at the Manufacture. How important are women’s watches at JLC? We are a Maison of overall balance. We are balanced between men and women, between sports and elegance. Women and men’s watches have always lived side by side from day one. Since the beginning, there were always products for men and women. 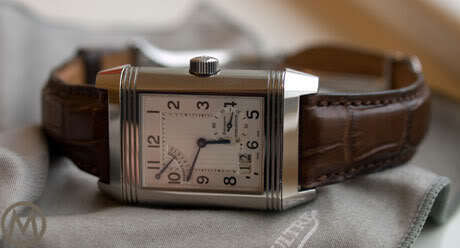 The Reverso has always offered models for both sexes and this will continue. The new 36mm Dazzling Rendez-Vous is prong-set with diamonds on the exterior part of the watch. This setting allows the light to reach the diamond and really shine. It’s a very wearable watch size and comes in white or pink gold, I really like the warm pink gold version. Last year you introduced the Polaris collection? What are your plans for this collection? To continue! It’s been a great success and has surpassed our expectations on many fronts. Following good sales figures in US and Europe and a strong interest from Asia, we’ll be doing some limited series although we plan to introduce permanent references to the collection. The Polaris will remain our elegant sports offer. What has worked fantastically well in the Polaris line is the chronograph and the metal bracelet. It’s not easy to do a nice bracelet. Do you plan to introduce new product lines? E-commerce and digital are becoming more and more important at Richemont. How do you envision the future? She seems to be very self-effacing – I hope that is just an act: it is time for JLC to move forward and once again offer something bolder than the disappointing Polaris line. I feel that although the Polaris is a nice new addition. JLC needs to stick to its core values of high quality service, and sales respresentation. Certain outlets in America that i have experienced have a disappointing knowledge and general professionalism toward the clients. Patek on the other hand has outlets wity more highly trained experts. I give them credit for producing beautiful watches. I’m a tool watch guy by nature and love a good moon phase as well as a drop dead gorgeous enameled tooled dial. The Master Ultra Thin is stunning. 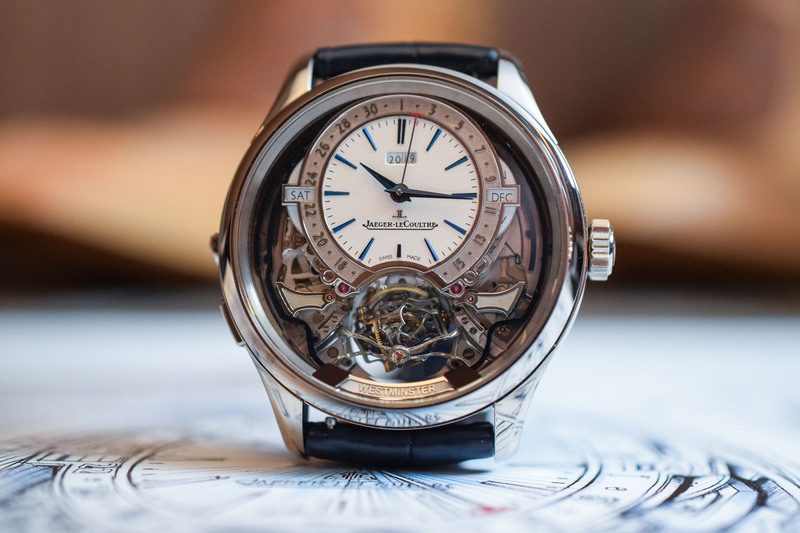 I’m a little surprised to see the photo of the Gyrotourbillon with the year at the top of the dial and the 20 and 19 not aligned. I feel a little nit picky, but considering it’s their year of precision, I’d expect those to align precisely as well. It’s time JLC sorted out their service and repairs, or at least make sure more pieces leave the factory in working order. Two owners of well-established jewellers have told me they had to stop stocking them as endlessly chasing JLC on behalf of very unhappy customers was encroaching heavily on dealing with their other daily business. I asked if it was a Richemont issue, but they haven’t had problems with any others like this. Good luck with that, Catherine – sincerely. Many of JLC’s recent models have suffered from “BMW 1 Series Syndrome”: An excuse to own the badge with none of the benefits. If I’m going to spend more than a Rolex to get a JLC, it has to look like it. Right now, they don’t.